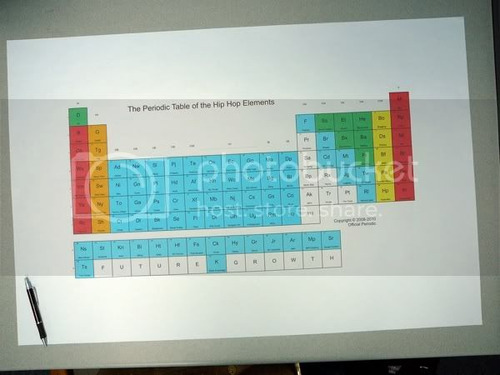 Periodic Table of Hip Hop Elements Poster Proofs are in! There will be a small run of posters available within the next week or so, here's a proof! I'll let you know here before dropping em on the main site. If anyone wants a copy of this extremely limited pressing, holler here I'll make sure I got you covered. 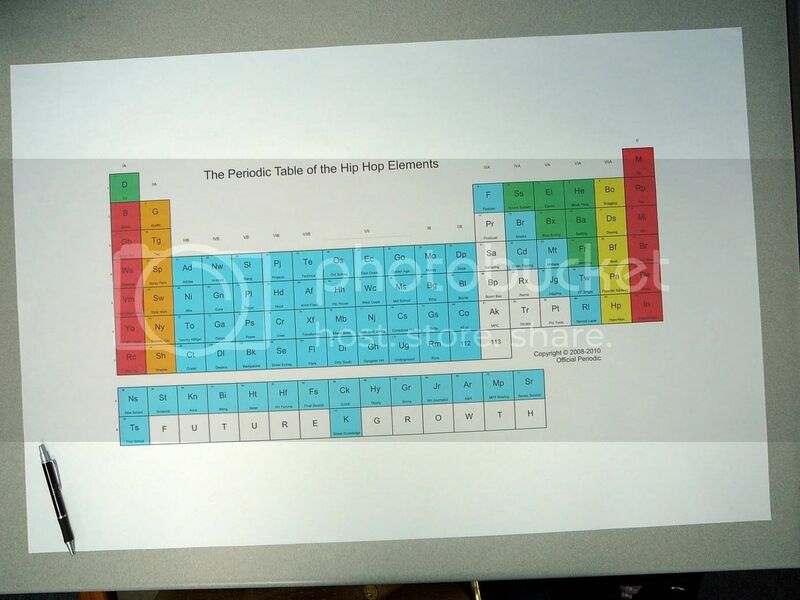 Re: Periodic Table of Hip Hop Elements Poster Proofs are in! It'll be really cheap since this is a first run. I'll let you know, just want to get a head count before deciding how many we will purchase. We aim to not make a lot money on these, the payments will just cover the expenses of the prints themselves and maybe if we are lucky a few months of website overhead.